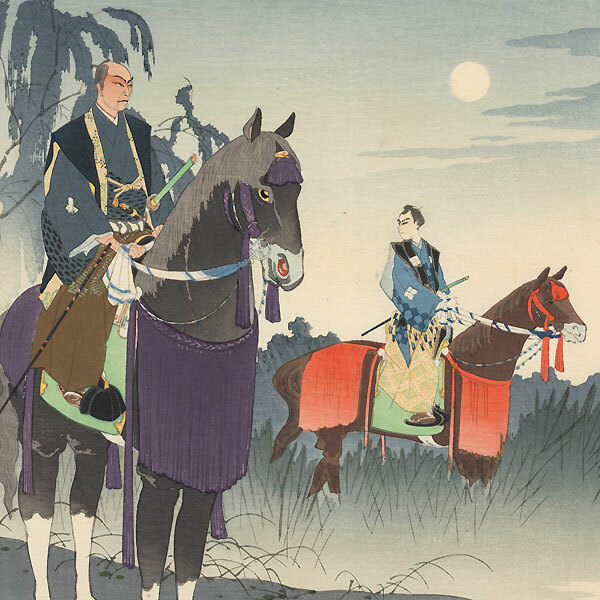 Samurai on Horseback - Handsome scene from the kabuki play "A Paulownia Leaf" (Kiri Hitoha). 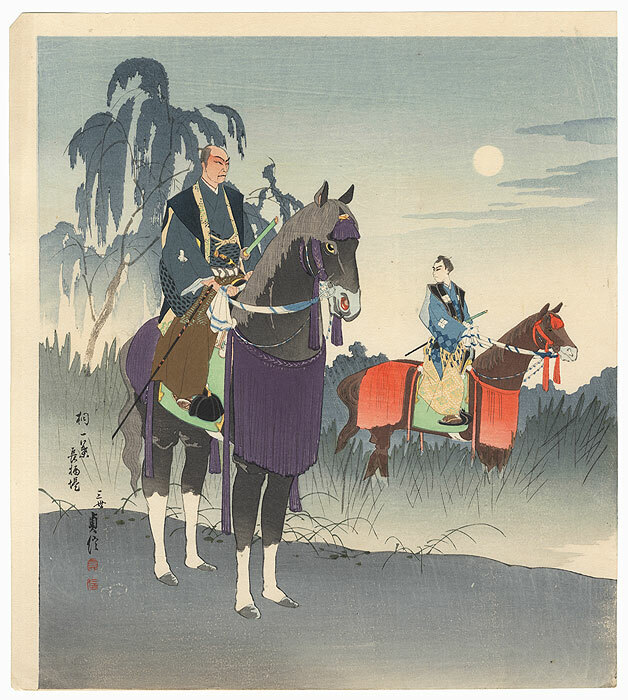 Two samurai on horseback pause for a moment during their travels, the younger man looking behind him cautiously. A full moon glows softly overhead in the pale sky, and a willow tree frames the scene at left. 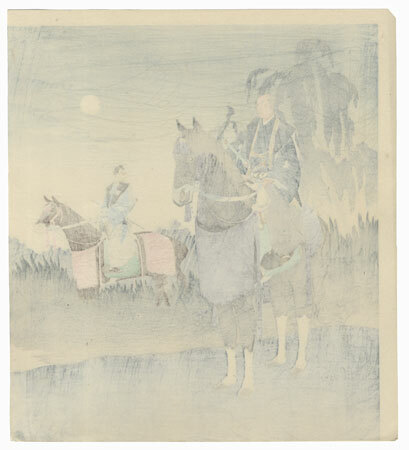 The horses are clearly portrayed by two actors each, as evidenced by the unusually long legs and feet, an intriguing detail. Beautiful soft shading and attractive color in this interesting modern design. Condition - With excellent color and detail. A couple tiny spots, a couple light creases at edges. Please see photos for details. Nice overall.